Arlo Murrel, 2, left, and his brother Jonah, 7, walk in the parade during the Fall Festival at the Riverwalk Center Saturday, Oct. 14, in Breckenridge. 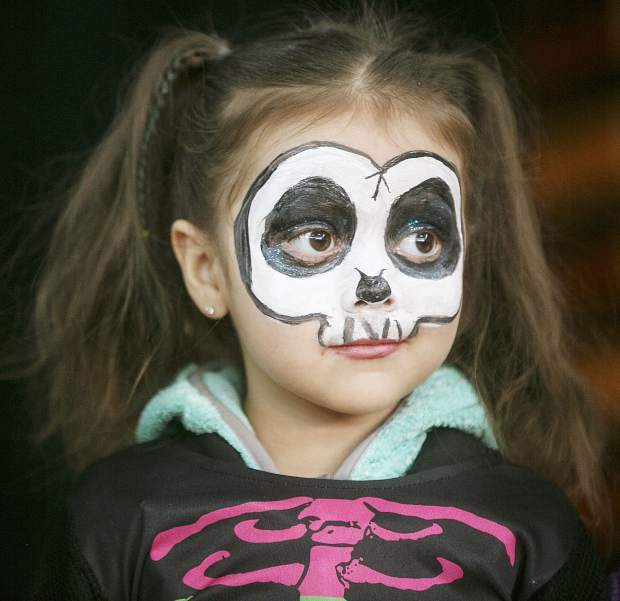 Child in skeletal costume during the Fall Festival Saturday, Oct. 14, in Breckenridge. 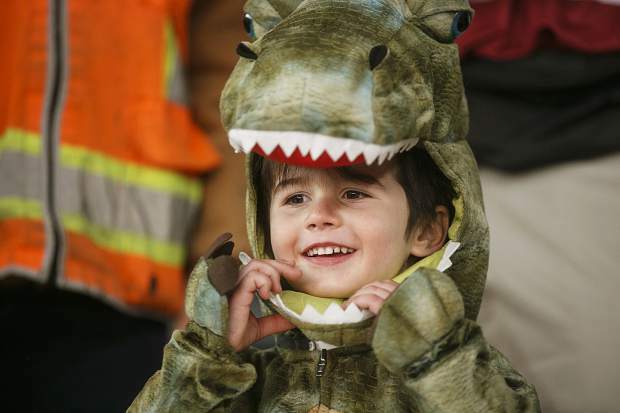 Child in T-Rex costume during the Fall Festival Saturday, Oct. 14, in Breckenridge. 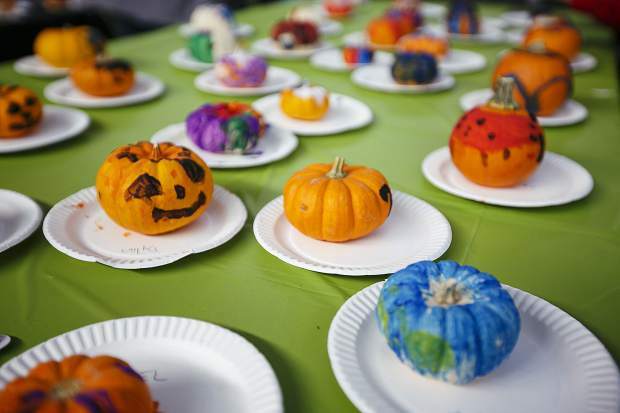 Painted pumpkins in the Fall Festival at the Riverwalk Center Saturday, Oct. 14, in Breckenridge. 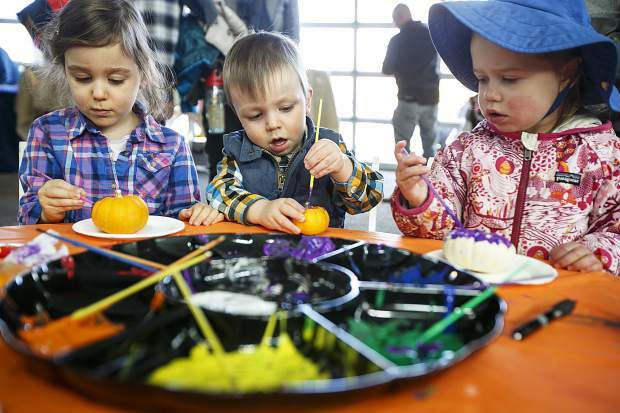 From left; Sorayo Bouanget-Pepe, 4, and her young brother Maxence, 2, and Ilona Bikkal Horne, 2, paint pumpkins during the Fall Festival at the Riverwalk Center Saturday, Oct. 14, in Breckenridge. 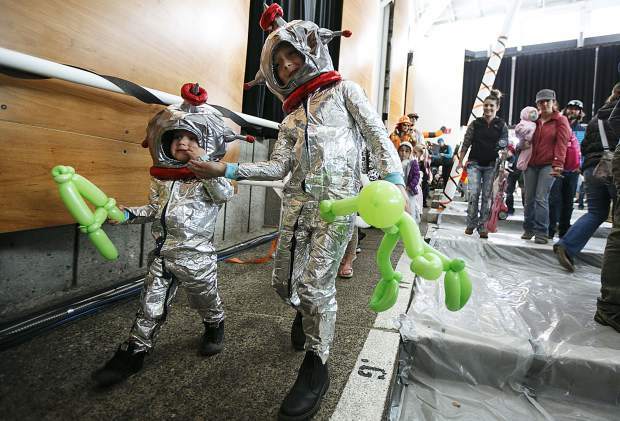 Children attending the Fall Festival prepare to walk in the parade at the Riverwalk Center Saturday, Oct. 14, in Breckenridge. 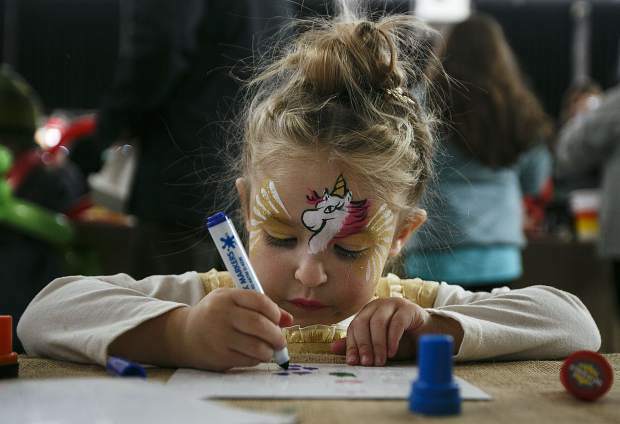 Lillian Custodio, 3, makes art during the Fall Festival at the Riverwalk Center Saturday, Oct. 14, in Breckenridge. 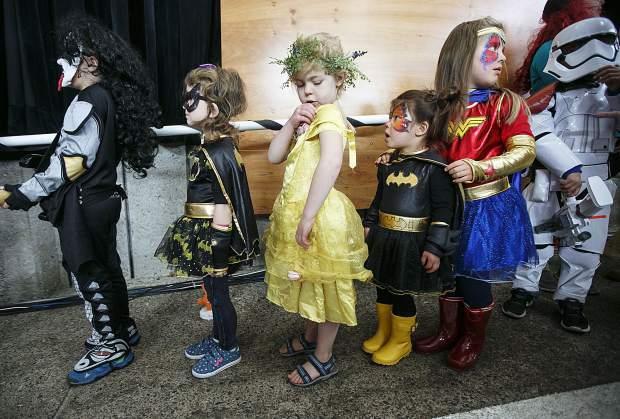 Halloween arrived early for children attending the Fall Festival Saturday afternoon at the Breckenridge Riverwalk Center. Hosted by the Breckenridge Grand Vacations, with the Family and Intercultural Center being the beneficiary, close to a hundred attendants, dressed in costumes, took part in pumpkin painting, balloon art, and caramel apple decorating.